I'd be lying if one of the reasons that motivated me to carry was the rise of right wing violence, especially against minorities. I had my firearms license (FOID in Illinois) for eight years and didn't seriously learn how to shoot or carry concealed until two years ago, not co-incidently with the election of the current President and his vile rhetoric. Sad state of affairs. I bet a lot more people are in the situation than just you. The guy who said he didn’t believe guns should be kept in the home for self defense is not a club member, he was a guest. Also, kilt guy was a Pink Pistols Member come to check us out. 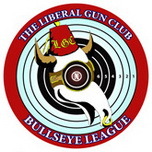 The guy who said he didn’t believe guns should be kept in the home for self defense is not a club member, he was a first time guest. Also, kilt guy was a Pink Pistols Member come to check us out. After the 2016 election a lot of people on the left became more concerned about safety, especially women and minorities. Haven't seen a national analysis but I suspect that after each violent event like Pulse Nightclub and Charlottesville concealed carry licenses applications go up in states. Good OPB article, Ross posts here. I read Ross’ blog. Ross, update your blog! We want to read more! Any publicity is good publicity. Well, maybe. It is true that if somebody gets in your face and you show you're armed they'll quickly back off--unless they're armed. If they're armed legally--that is, holding a state CCW--it is not likely they'd've gotten in your face in the first place. Srsly. That means 99 out of 100 folks who get in your face will not be armed. So, get armed, and open your coat to show. The chicken shits will piss themselves and bail. That being said, I don't think there's enough of the "shooting stuff is fun" aspect in the article. I hope the radio spot will show that more. But still, getting the cleaning mat out there with our name is good. Self defense is real and valid. I don't know that I agree with brandishing. No one needs to know I'm armed until they've earned a bullet, then they can find out. And even still, I'm doing whatever I can to get out of that situation before it comes to self defense. I don't think everyone who gets in my face needs to be shot. But I do want them to know they could be shot if they cross a line. I see it as a defensive gun use. It's always tough dealing with the media because you can work on a story but you don't have editorial control of where it goes. It was a good segment and good PR for the club. In OR it appears you have one public radio station around the state, in CA we have many. One station has advantages but so do multiple stations because they carry different programs. I mainly listen to the NPR stations out of Santa Monica and San Diego but if I'm farther afield I can pick up the stations in Pasadena, San Bernardino and Orange County. I'm not sure that is sound legal advice. If you brandish a legally carried firearm at people because they "get in your face", you may not be legally carrying that firearm for long. Last edited by Mustang on Sun Feb 10, 2019 4:43 pm, edited 1 time in total. Great coverage of Ross- he does good stuff in this area; I'm also one who carries because of the rise of the extreme right. As a side note, labels are a curious thing: I never used to hear the term 'leftist' but now I do frequently. I don't really know what that means. I used to know what a conservative believed in, and I'm quite sure I don't recognize most who currently claim to be conservative. I know a lot of folks who are or were formerly registered Dem but who have come to believe that our economic system is off the rails and benefitting primarily the very wealthy. That's not leftist to me. Still, good to see the LGC in the news. It would be nice to have a follow-up story of some of our members, what they shoot, why they shoot, and how we differ from our anti-gun friends on the left. I'm not sure that is sound legal advice. I you brandish a legally carried firearm at people because they "get in your face", you may not be legally carrying that firearm for long. I strongly recommend books like Ayoob’s Understanding Your Right to Self Defense and the better The Law of Self Defense by Andrew Branca and ongoing careful thought about the law of self defense and how best to comply with it. Brandishing is serious business and the criteria for it are high, higher than someone being in one’s face, I’d say. I carried for years with a permit in Va. have applied to carry here. And, I practiced law for over a decade though I’m not actively licensed or practicing anywhere right now. I’m just one citizen among others. But as armed citizens we have great responsibilities and ongoing self education and analysis is one of them. Or, so I believe. The only time I ever brandished I did so because one guy had a steel pipe in his hand and was about to bash another guy's head. I pointed my gun at the first guy and told him to drop the pipe and leave. He did. Regardless of whether that was legally "brandishing" I call that a successful defensive gun use. I might add that any allegation of Brandishing on the part of a CC permit holder, whether prosecuted criminally or not, will frequently result in a short investigation by the issuing department, followed by a quick revocation if there is any hint that the CC permit holder brandished the firearm inappropriately. That seems like a reasonable defense of others situation, fraught as those can be. Reasonable to view a pipe to the head as an imminent threat of lethal force. It auto publishes to LGC. Reasonable action given your knowledge of the situation. You probably saved him from death or grievous bodily injury. Defending others that you don't know can be more risky as you don't know the full story of what lead up to that moment. Agreed. A spate of cases, punctuated recently by the death of Mr. Bradford in Alabama, suggest extreme caution about getting involved in situations where you go to the defense of others when you haven’t seen the whole situation unfold (or even if you have). But Eris’ situation seems pretty clear cut. Yeah, mine was very clear cut. It was two friends of my brother in law, one of whom I knew fairly well, and they'd been arguing and fighting for a few minutes before it escalated to the point of danger. I agree with the cautions about brandishing. Still, I would wonder after the point of carrying if you couldn't say 'back off' by like having a red hour glass on your belly or what not. Last edited by RapidButterfly on Mon Feb 11, 2019 4:28 pm, edited 1 time in total.